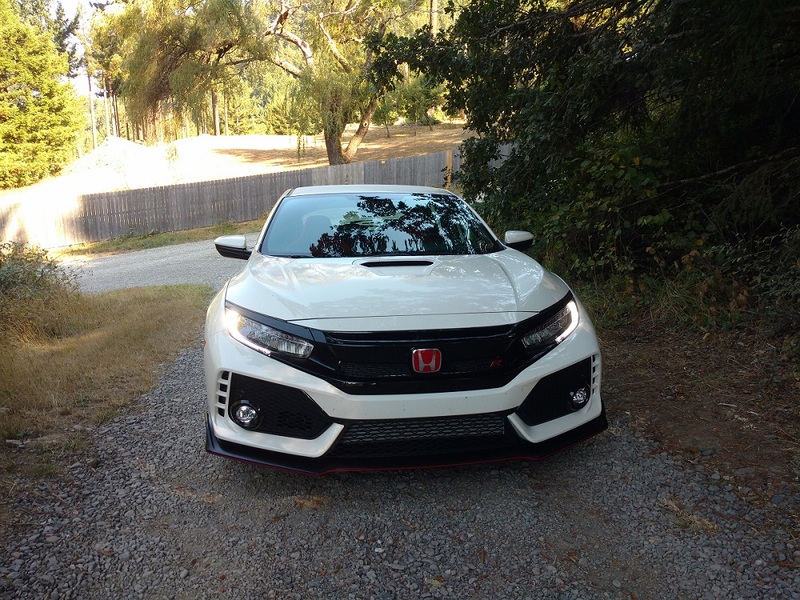 YOURHONDANEWS.COM - This is your Honda news, contributed and commented on by people like you. Designed for off road weekend warriors Honda presents a reborn safe and sane tech-rich Passport sandwiched between CR-V and Pilot in the maker’s light truck lineup. What features give Passport serious sporting capability? Without question, the current Honda Pilot and CR-V when equipped with AWD can do some dirt time. Honda’s leading sellers can also trailer haul a toy or two. So why is Honda marketing a reborn Honda Passport? Simply put, they can, and if priced right 2019 Honda Passport will be successful. 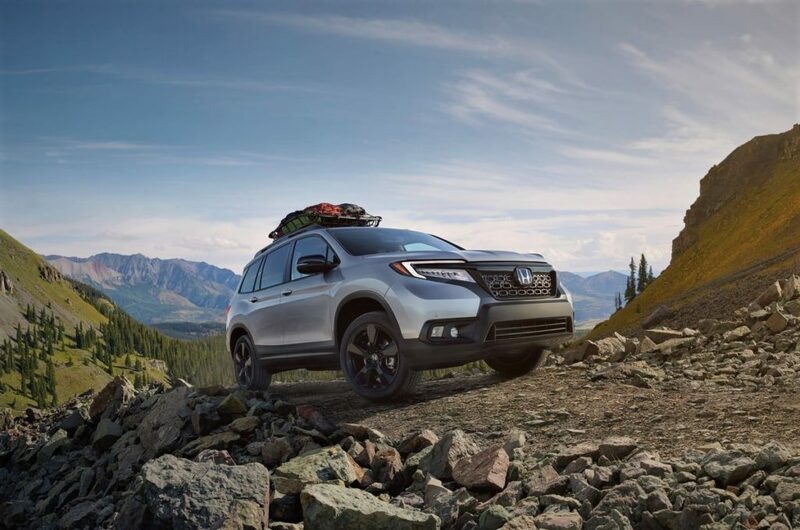 For 2019, Passport comes to market built on Honda’s universal light truck platform, sharing most attributes, options, and chassis engineering with the longer Honda Pilot. That’s fine. Pilot’s a mechanically bulletproof, well priced contender in the midsize 3-row SUV segment, and continues to lead that class in annual sales. While Honda unibody primary front wheel drive technology when equipped with i-VTM4 (torque vectoring all-wheel-drive) works very well on all surfaces and weather conditions, insufficient ground clearance and relatively long front and rear body overhang is not cool when transitioning in or out of a steep incline. That painful underbody road and rock crunch takes the fun out of mild off road adventure, and sometimes results in cowling and cosmetic panel damage. But hey, you already know that. The all new 2019 Honda Passport shares a manufacturing platform with Honda Ridgeline Pickup, and Pilot SUV. So, our engineering design friends at Honda R&D, Torrance,California, and Raymond, Ohio, collaborated on designing and launching a made in America Honda Passport with greater ground clearance, shorter body overhangs, nimble, power steering, and front and rear independent suspension — capable of towing 5,000 lbs when properly equipped, and take to the open and off road with the best in the segment. You won’t find a turbocharged engine option for 2019 Honda Pilot. Instead, America’s #5 car maker looks to the 3.5L 1-VTEC direct injected SOHC V6. Developing 280 H.P. @ 6,000 rpm and 262 ft-lb torque@4700 rpm, we like this gasoline engine for Passport. When standard equipped with dual exhaust and shifted through Honda’s 9 speed automatic transmission fun will be had by all on or off the road. Fuel economy as yet to be stated by Honda should approach 19 mpg city, and 24 mpg on the highway. We further anticipate a beginning FWD standard Passport package MSRP of $29,000 +, we’ll see. 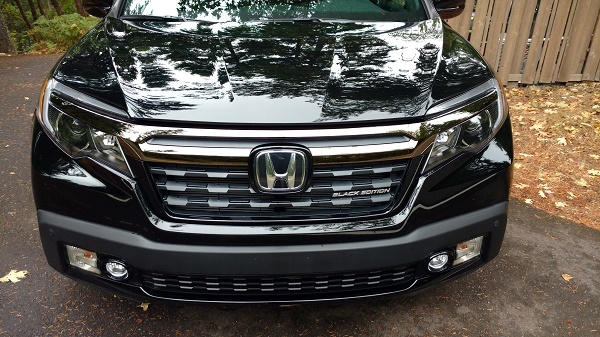 Black out grill, 20 inch wheels, and a sporting rugged theme delivers a reborn made in America Honda Passport. I’ve driven thousands of miles on and off road in CR-V, Pilot, and Ridgeline, all exceptional in their own right — yet compromised just a tad when driven off the pavement. Honda presents a re-imagined Passport for consumers shopping for an affordable answer to civilized and active safety equipped do-anything attainable truck-like SUV ownership. I believe Honda has a winner here, and look forward to presenting a comprehensive drive review in January. Interior Cargo Volume (Behind 2nd Row) SAE J1100 41.2 cu.-ft. Cargo Volume (Behind 1st Row) SAE J1100 77.9 cu.-ft. Cargo Volume (Behind 1st Row) SAE J1100 plus floor space between seating rows and seats in their forward-most and upright position. 100.7 cu.-ft.
2018 Civic Type-R is the quickest production front-wheel-drive high performance hatchback on the road today, how long does it take to build one? The short answer is 4-hours. But there’s a lot more to the process than bolting a few hundred components together. Watch the 2018 Honda Civic Type-R production Video, and be amazed. This week I posted an article in Honda-Torque News, where Jason Richmond, AKA HondaPro Jason Video records the build of his personal 2018 Civic Type-R hatchback from paint booth to final assembly and drive-off. IN the Video Jason visits Honda U.K.’s Swindon, England production facility — one of the largest automotive assembly plants in the U.K.. For anyone that’s ventured into custom car building,the process is a bit of a mind blower. The 4-hour build process is nothing short of amazing. Your Honda News was informed that Honda Type-R production will top out at less than 5,000 units per year world-wide, a darn rare Honda. To put that low production number into perspective, 350,000 Honda Civics will be sold in the United States in 2018. Honda’s method of systematic assembly is impressive. Beginning with the prime and painted manufactured safety cage (shell) the subject car moves down the production line, never remaining at one assembly station for longer than 60 seconds or so. Parts and components are transferred to assembly stations by robotic arm and magnetic-tracked electric bib-cart. From time to time, you’ll view a Honda associate gathering a wiring harness or trim component by hand, but not often. Honda Civic Type-R is assembled from the rear forward. And, the doors remain off of the subject car for the majority of the manufacturing process, for ease of assembly and paint-preservation. This highly automated production line keeps the MSRP of Honda’s hottest performance hatchback bellow $34,000 or so in the United States. The last major component to join the nearly completed Type-R chassis is the front-wheel-drive engine and trans-axle sub-frame. 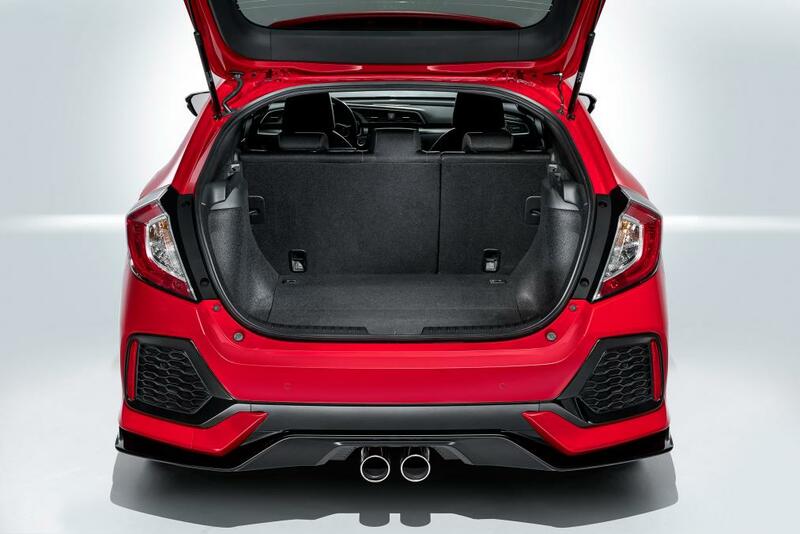 Civic Type-R is assembled from the rear to the front, and from the inside out. After the engine and trans-axle sub frame is bolted into place, complete with Brembo Brake assembly, active dampening struts, shocks, and steering assembly — next up is the radiator, inner cooler, front-wrap, bumper, etc. Civic Type-R comes together with the help of hundreds of associates on the floor of a 3,000,000 s.ft. manufacturing facility. What’s Jason up to? Looking beyond 2018 Honda Civic type-R’s 3016 horsepower engine, and limited slip differential sits a fine multiple task-ready high performance touring hatchback. Sure, Civic Type-R is track ready out of the showroom. But I prefer Civic Type-R on the street. You can read about my latest Civic Type-R adventure here. 2018 Honda Accord Turbo lineup captivates. This week Your Honda News drops in on our local Honda dealership to revisit the new from the tires up 10th generation Honda Accord. Now exclusively turbo engine powered, several key features make 2018 Accord Sport a well equipped performance value. With the majority of new car buyers opting for compact crossovers and SUVs these days, Honda, Toyota, and other mainstream auto brands, present the most evolved, user friendly, and safe compact and midsize sedans to ever come to market. 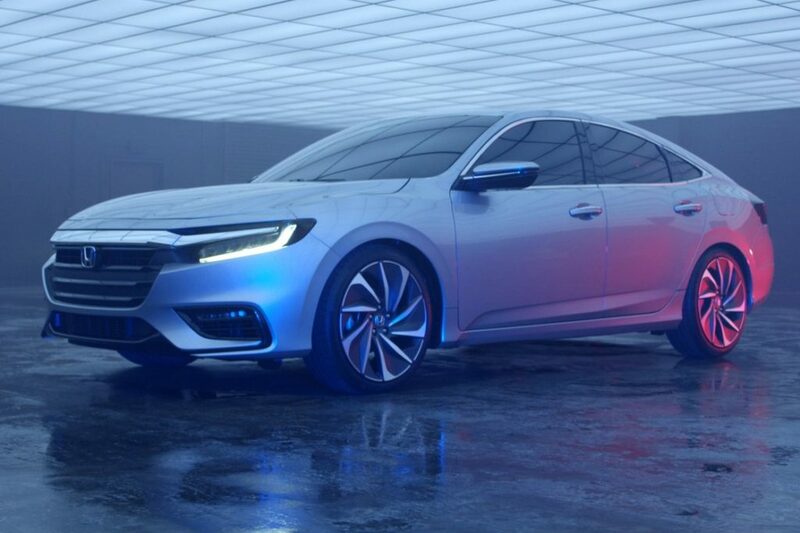 In the spotlight is Honda’s award winning 10th generation 2018 Honda Accord; but it has some competition, all of it good. Once again Accord leads the midsize sedan segment with several tech-rich features, including Honda SENSING, in my opinion the best working near autonomous active safety suite on the market today. While 2018 Honda Accord won’t drive itself (yet) it can keep you out of harm’s way with driver assist technologies. Featured under the hood of what Honda engineering proudly refers to as the most refined feature-rich Accord ever, Your Honda News finds a manufactured in Ohio. Earth Dreams engine series. Our subject for this article is the 2018 Honda Accord Sport 1.5L turbo. It’s the value ‘Sport’ package in Accord’s lineup. Yet Accord Sport is far from stripped when it comes to standard and optional features. We can’t say enough good things about Honda’s 1.5l and 2.0L turbocharged, direct fuel injected four cylinder VTEC engines. They’re both instant-on, no turbo-lag noted, mid-range torque monsters. “Seamless’ is an understatement. After driving the very formidable import and domestic car competition in the mid-car segment, I find Accord to not only be fuel efficient, but responsive and vibration free. The fact that a low displacement 4-cylinder engine motivates this nearly two ton car is inconsequential as to available torque and passing sprint speed. Every Accord trim offering for 2018 is turbocharged. While there remains more than a bit of skepticism in the car buying public when it comes to small displacement turbo charged engine reliability, turbocharged 4-cylinder gasoline engines are now the engine of choice with all major auto manufacturers. You won’t find a V6 option for Honda Accord in 2018. Thanks to quick heat dissipating aluminium heads, integrated exhaust manifold head casting, low friction internal engine components, direct multiple-port fuel injection, and relatively cooler running temperatures — today’s turbocharged engines burn cleaner and live longer. Honda, the biggest gasoline engine manufacturer in the world, builds a darn fine engine. Honda’s 1.5 Liter single scroll, direct injected turbocharged 4-cylinder gasoline engine claims a stated 192 horsepower at 5500 RPM, and 192 lb-ft torque from 1600 to 5,000 RPM. The reinvented 2018 Honda Accord is the most responsive and powerful Accord presented to date at any trim level. That’s cool. There’s more. Retrospective: We first experienced the 1.5L engine in the Honda 2016 Civic lineup, and then the 2017 CR-V SUV. We also took a turn or two on the track in Civic Type-R, and then made an epic run to the Redwoods. Yes, you can opt for a down-tuned version of Type-R’s engine in Accord Touring. I’ll get back to that application later in the article. Honda’s uptrim near premium 5-passenger Accord sedan comes to market with a ground-up redesign, and a comprehensive standard feature and options package that rivals sedans sporting premium car price tags. The first thing we notice when sitting behind the wheel of Accord touring is how comfortable the power adjusted leather and fabric driver’s seat is. Infinitely adjustable, heated and cooled (Touring) our drivers claimed Accord’s driving position to be pleasingly spacious. For greater specification detail: Your Honda News reported on the press reveal of the reinvented 2018 Accord from New Hampshire. So, let’s cut the chase. How does Honda’s 10th generation Accord compare to 2018 Toyota Camry? 3 weeks ago, Your Honda News spent some quality seat time behind the wheel of 2018 Toyota Camry XLE V6, a good car by any measure. However, when weighing the sometimes subtle differences of two segment front runners, the Devil is often lost in the details. Visually, both Accord and Camry present a pleasing body architecture, run close to the pavement, are wide-tracked and sweeping of roof to trunk line. Truthfully, Camry may lead the segment in interior design appeal. Yet 2018 Honda Accord nails it in functionality, an exceptional tablet-like command touch screen size and placement. And yes, from what I could see, Accord’s 2nd row is just a tad roomier and seat-comfortable than Camry. However, neither sedan offers copious amounts of headroom in the second row — tall rider beware. Regardless: The majority of daily commuters in the U.S. and beyond drive solo to work. So for me, what truly measures a good commuter car is seat comfort, ride refinement, maneuverability, and over all drive dynamics. 2018 Honda Accord thanks to a redesigned suspension, improved frame rigidity, active noise cancellation, and stabilitrak, is mind-blowingly float-like-smooth when transitioning on and off of traffic worn surface streets and highways. 2018 Honda Accord Sport is absolutely the best car for the money in its segment — bar none. 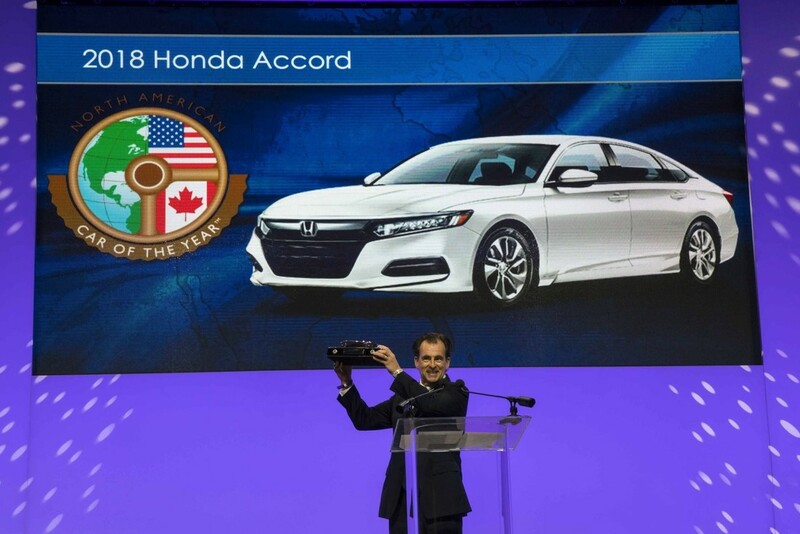 Henio Arcangeli, Senior Vice President of the Automobile Division of American Honda Motor Co., accepts the award for 2018 North American Car of the Year at the 2018 North American International Auto Show on 1/15/18. Featuring 2 new engines and transmissions, including the only 10-speed automatic in the segment, Honda takes Accord to aclass topping level of sophisticated ride refinement and ease of operation. 2018 Honda Accord Sport 1.5L Turbo is a perfect daily commuter. I was reminded while driving on the streets of Eugene, Oregon in the rain how good Honda’s not so entry-level 1.5L Accord Sport tully is. It just goes to show that one needn’t spend upwards of $40K to purchase an impressive ride. * priced from MSRP $23,570 plus delivery, dealership prep, taxes, etc.. Price as tested: Sport CVT $26,580.. MPG realized in mixed driving: 26.9 MPG. What we’d change: More headroom in row two, a little less “cooler” plastic trim on the interior. Photo and content attributions: Parks R.. McCants 2018. Thanks for reading. Honda’s most fuel efficient 2018 Civic Hatchback not available in the U.S.
2018 Honda Civic Deisel Hatchback presented in Britian. Honda Motors is a world-brand, and as such, caters to the unique market conditions dictated by regional specificities. One critical consideration when designing a mass-marketed car or light truck is fueling infrastructure, and more specifically, the fuel of choice within a specific geological region. Unlike the United States, when driving in the European Union, one encounters diesel engine powered cars and trucks with regularity, many of them manually shifted. As a side note, 55% of all on-road-grade Diesel fuel refined in the United States is exported to Great Britain, Europe, and beyond; where nearly half of all passenger cars roll on Diesel power. The latest and final variant of the 10th generation world-platform Honda Civic will be Diesel engine powered, and initially, manually shifted. 2 years prior we reported on a Diesel engine powered Civic Touring Hatchback that broke the Guinness Book of Record’s “most miles driven on one gallon of fuel,” where a team of Honda associates hyper-miled their way to a world record. At that time I read from our European Honda fans of real-world fuel efficiency approaching 70 MPG, adjusted. While I haven’t personally confirmed the claim, it’s impressive, just the same. Today I expound on Honda’s most fuel-efficient Civic Hatchback variant in Torque News. Check it out, and let me know what you think. Would you buy a diesel-powered Civic Hatchback if it was available in the U.S.? Honda’s EarthDream i-DVTEC turbocharged 4-cylinder diesel engine rolls worldwide. Why not in the United States? Earlier in January, our Honda News was dominated by C.E.S. Las Vegas. Honda attended the world’s premier Consumer Electronics Show and presented cutting-edge Robotics, some rolling some stationary. Me, I like Honda’s Autonomous work-horse 4-wheeler. Pre-programmed and controlled remotely through an app, this 4-wheel quad-like platform can be modified for work, and homesite labor saving tasks. As to human mobility and mental health, yes, Honda has that covered too. On the Automotive side of C.E.S., Edmunds Auto, in conjunction with C.E.S., award 2018 Honda CR-V its inaugural ” Most Innovative SUV” award. Read how and why 2018 Honda CR-V beats all comers in the compact SUV segment with superior standard features, available Honda SENSING, and superior ride dynamics. Posted on January 18, 2018 Categories Domestic Car Review, Honda News, The Advanced CarTags 2018 Honda CR-V, American Honda, American Honda Motors, Civic Hatchback Diesel, Compact SUV, Fuel Economy, Fuel efficient, Honda Civic Hatchback, Honda EU News, Honda News, Honda-Torque NewsLeave a comment on Honda’s most fuel efficient 2018 Civic Hatchback not available in the U.S.
2018 marks the third year running that a Honda brand car or truck wins a North American Auto of the year award. This award is in effect the Oscar or Emmy for the auto industry. The selection process is arduous, long-winded and political. North American Car, Truck, or Utility of the Year is vetted by, reduced to finalist, and and then chosen by the majority consensus of a panel composed of active automotive journalists, editors, and lifestyle bloggers — a few of them good friends and associates. This year, 2018 Honda Accord finds itself in good company with the reinvented 2018 Volvo XC60 midsize SUV, and the flagship Lincoln Navigator. An interesting cross-section of automotive engineering to be sure. Yet each winner is a standout in its respective segment. And like 2018 Honda Accord, the best at its intended application. Here’s where my Accord, Camry comparison reference comes into play. I have driven both, and find each car to be an extraordinary redo of what was in the not too distant past, a bread and butter appliance car. With a hat off to Toyota engineering, the 2018 Toyota in any variant, is a pleasure to drive. You may read my initial drive impression of 2018 Camry hybrid here. With newfound cutting-edge good looks, premium cabin refinement, a much-improved driver to car connectivity, and very impressive normally aspirated pedal power, Camry is a winner. Yet, according to a jury of 60 professional automotive jurors, Honda Accord takes the nod for, and here I quote; “2018 Accord honored for bold “new from the ground up” approach to remaking America’s best-selling car over the past 41 years.” says American Honda Motors. Looking to Accord’s newfound design directive, one would be hard-pressed to find a more dynamic, eye-catching body design, available in today’s subpremium midsize auto segment. Playing off of the well-received 10th generation Honda Civic design, 2018 Accord, regardless of trim level, runs with Civic’s European inspired body language, and takes it to the next level in refinement and understated elegance. From its short-overhang trunk line to its classic touring car inspired long hood and pronounced 3D grill design, Accord breaches the limitations of an affordable midsize family car segment with exceptional standard featured connectivity and advanced active safety features. On the performance side, we find a new lineup of dynamic, fuel-efficient, turbocharged engines, and 2 new proprietary transmissions. For 2018, Accords suspension is re-engineered for not only improved handling dynamics, but a quiet and comfortable drive and ride experience. 2018 Honda Accord is the quietest midsize sedan in the sub-premium midsize sedan segment — thanks to the strategic placement of acoustic deadened auto glass, carpet batting, and active electronic noise cancelation, Accord is at times, eerily quiet — something one doesn’t anticipate from a sedan sporting a beginning MSRP well below $30,000. read my initial 2018 Honda Accord drive review here. Honda engineering presents an Accord variant for every sedan driver. From the entry-level 1.5 Liter Accord Basic to the 2.0 Liter Turbocharged VTEC, 10-speed Accord Touring, 2018 Accord presents the greatest bang for your buck found today in a mainstream 4 door sedan. For the “Green” among us, 2018 Honda Accord Hybrid should arrive at dealerships sometime in the late Spring. I drove Accord Hybrid in New Hampshire last Fall. As with the current Accord Hybrid, the 2018 Accord Hybrid sits at the top of the Accord lineup, with sophistication, and fuel efficiency befitting a hybrid mainstay. Me, I like driving Accord. And will miss the V6 powered, manually shifted Accord Sports Coupe featured in this article. This too shall pass. The 3rd generation Acura RDX captivates one’s imagination from every angle. January 15, 2018, will mark a day in Honda history when two innovative, segment topping, benchmark-setting vehicles were presented to the world press from Detroit, Michigan –still, the epicenter of North America’s auto industry. Honda, America’s #5 automaker comes to N.A.I.A.S (North American International Auto Show) with two showstoppers — the reinvented 3rd generation Honda Insight and Acura Divisions 2019 RDX SUV, the first ground-up reinvention of Acura’s best selling compact SUV in the better part of a decade. I wouldn’t throw my 2017 Acura RDX in the crusher. I still see first generation Honda Insights from time to time running the streets of North America, tinny by today’s standards, the initial Insight offering was a 2-place 3 door hatchback that averaged over 60 MPG highway. Very cool looking. in a quirky, fender skirt sort of way. The original subcompact Honda Insight fell to the side of the road in sales due to Toyota’s introduction of the larger Prius, the best selling gasoline/electric hybrid in history. After a brief market hiatus, a second generation Insight returned to the market in 2010 as a larger 4-door hatchback with underwhelming performance drive dynamics. Yet, In my several interviews with Insight owners, I’ve yet to meet one that didn’t praise their Insight. In rolls a much improved, larger scale 5-passenger sedan, featuring Accord Hybrid, Clarity PHEV, 2nd generation 2-electric motor Honda hybrid gasoline/electric hybrid technology. As of this writing, Honda’s expanded a bit on the date of arrival, as well as specifications for this Prius slayer. However, that’s about it. I’ll keep you posted. As promised by our friends at Acura, 2019 RDX is a show stopper that most definitely lives up to its pre-reveal hype. Without question, the most advanced future-forward SUV design to come out of Acura’s Los Angeles based design studio, the manufactured in Ohio 3rd generation RDX presents the maker’s near future design directive for Honda’s premium brand. When released to markets in midyear 2018, RDX will return sport-driving dynamics to the very popular 2-row crossover segment. New for 2019 is the first mainstream integration of Acura’s Precision Cockpit Concept design architecture; a much improved up-trim interior, full-length glass roof, available 2nd generation SH-AWD (smart-handling-all-wheel-drive) greater structural rigidity, a new turbocharged high-torque engine, 10-speed transmission, available 3-D ELS sound/ entertainment interface, and more. Read my Detroit Car Show recap here. My congratulations go out to Acura’s G.M. Jon Ikada, the Acura engineering and design team, as well as Acura P.R., for a job, well done. In other news, Acura tells us that the V6 is not dead in their future lineup. Look for a turbocharged, high output V6 to premiere in the 2019 RDX. Also, Acura vows to resurrect an S-Type for the sport-driving enthusiast, while expanding the A-Spec trim packaging to all Acura car and light truck offerings. True enough, when looking to the midsize truck segment, none of the contenders, Chevy, GMC, Nissan or Toyota beat Honda Ridgeline for overall comfort, utility, and drive performance. Granted, the midsize pickup truck segment in North America is overshadowed by full-size Ford F150 and Chevrolet Silverado pickup sales. After all, why go midsize? We find up to $10,000 manufacturer’s rebates available on full-size truck models, with retail gasoline priced cheaper than 5 years ago. Again, why buy a midsize truck? Consumers much like my self, prefer the compact maneuverability of a midsize pickup truck when commuting to the job site, or searching for that viable parking spot in town. There’s also the general appeal of a midsize pickup truck that handles and seats more like a car — that’s where 2018 Honda Ridgeline comes to play. Torque News drives Honda Ridgeline down to Fort Umpqua Days. From my lifetime truck driving experience, I find Ridgeline to be the most comfortable pickup truck offering on the market today. And according to bellwether automotive publication Car and Driver, Edmunds.com and others, Ridgeline, when measured against the competition, is the best overall ownership value in the segment today. Granted, for those of you looking to a midsize pickup truck for maximized boat and trailer hauling, Ridgeline may not be your best option. However, if your occasional towing and hauling needs run secondary to interior cab space, comfort, quiet, and standard featured active safety, Honda’s only pickup truck offering is for you. True enough, Honda Ridgeline is truck-tough enough. This week the qualified journalist of Road and Track bestow “Top 10” honors on 2018 Honda Ridgeline. A carryover from 2017, 2nd generation Honda Ridgeline, now in its 3rd model year of production, comes to a growing truck segment with several unique features proprietary to Honda. 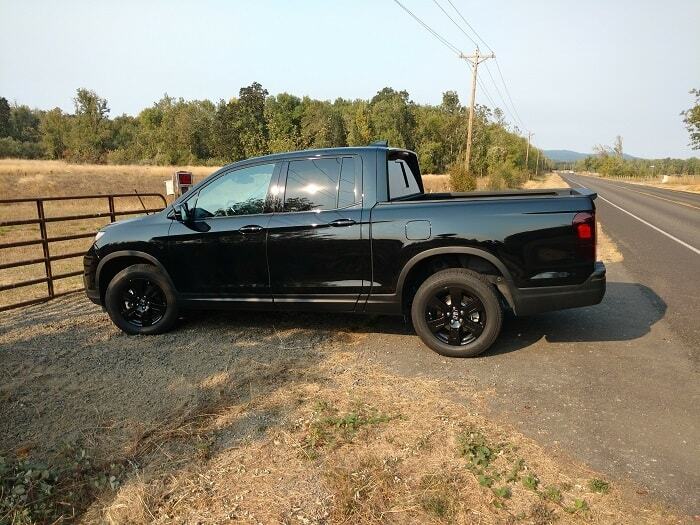 Ridgeline is the only unibody constructed pickup truck in North America — Ridgeline is primarily front wheel drive, or, select drive-mode all-wheel-drive — Ridgeline features the largest (by volume)cab in the segment — offering the only lockable truck-bed trunk in the auto industry. Read what I like about Honda Ridgeline. 2018 Honda Ridgeline comes to market with a beginning MSRP of $29,630 (front-wheel-drive, standard trim. This V6 powered midsize truck averages 19 city/26 highway and can tow up to 5,000 lbs when optioned with AWD. 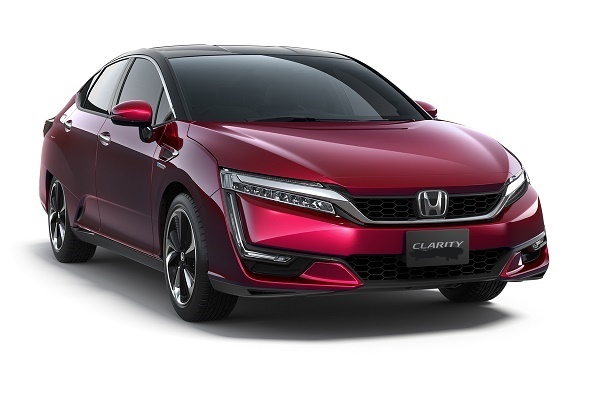 Honda Clarity Fuel Cell captures market interest in 2017. Comming off of the first week in January, the 2017 automotive market sales report is dropped on my virtual desk. No surprise found here: The majority of cars and light trucks sold in yet another bullish auto market remain gasoline-fueled, internal combustion engine powered. Yet 2017 marked a turning point in auto-industry wide promotion and integration of electrification, most of it hybrid. Stamp your feet and cry as you will Tesla fans, battery electric will not go mainstream anytime soon. There’s a reason or two for that, the least being public acceptance. Less than 2% of new cars and trucks sold in North America for the model year 2017 were electrified — the majority, by far, was mild gasoline/electric hybrid powered. Here’s how Honda, Hyundai, Volvo and other makers look at the future of Auto-electrification. 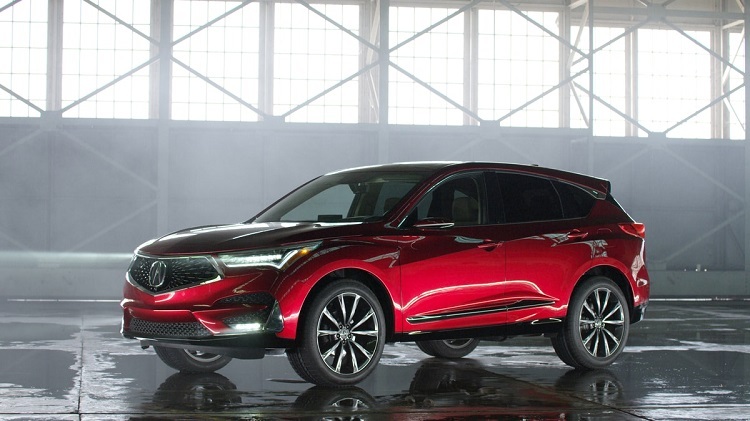 Acura Division takes hybrid electrification mainstream with MDX. Center’s logic follows market trends driven by product availability and the public’s ongoing concern with reliance on a still-expanding public charging infrastructure, and between charge cycle range anxiety. Although Clarity PHEV does present an extended real-world electric-only drive range of 40+ miles, one can drive indefinitely on the gasoline-fueled Atkins cycle 4-cylinder engine co-generator. The up trim Clarity 5-door premium sedan comes to market at a price slightly higher than a well-equipped Honda Accord. Such is the case with Hyundai Ionic, Chevrolet Volt, and other electrified vehicles. The majority of auto buyers fear the implications of public-grid or home charged vehicle — they don’t wish to bother. As reported last week on Torque News: Honda Insight is reborn for 2019 in its 3rd generation as an up trim Honda Civic 5-passenger sedan; or is it a hatchback? Honda’s not saying prior to the media reveal of Honda Insight in Detroit on January 15. look for coverage of N.A.I.A.S. ( North American International Auto Show. 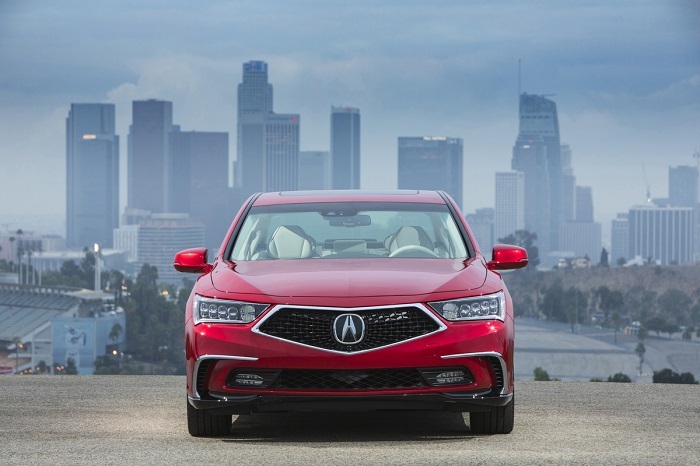 In a recent Torque News article titled “5 improvements Acura owners want in the near future,” I discussed the current state of Honda’s premium car Division, and what will be required in the near future to elevate Acura to its rightful position in the premium car and light truck segment. Setting the record straight: In speaking with Acura owners, while the majority praise the mark for producing an overall outstanding vehicle, many point to Acura’s outdated tech-side as sub-par, needing work, and glitchy at times. Or, more specifically, the navigation voice-command needs some work. Fit and finish are at times inconsistent. And unfortunately, for a very few, the initially problematic ZF 9-speed automatic transmission remains prone to intermittent glitches, and in worse case scenario, failure! It does happen. Today Acura MDX and RDX remain best sellers in their respective SUV segments. Affordable, premium, and fun to drive, Acura remains the go-to brand for consumers looking for understated elegance, precision, and sport-like drive and ride dynamics. When looking to pricepoint, Acura holds the advantage in the SUV and midsize premium sedan segment. What does the future look like for Honda’s premium brand? In response to this Acura-owner want and wish list, I’ve received some very poignant responses. Read that article here. 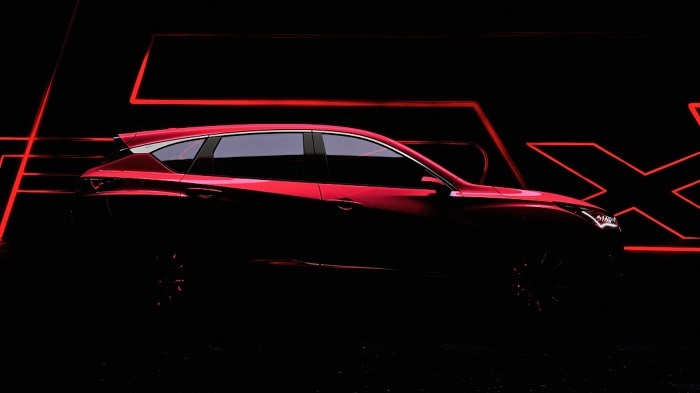 The evolution of Acura will continue with the prototype introduction of the all-new RDX compact SUV. This will be the first offering to feature Acura’s Precision Concept Cockpit design. Losing the 2-screen center stack dash layout, 2019 RDX will instead feature a centered floating touchscreen, with a redesigned, and much larger i-MID. I first experienced the Precision Cockpit at the Los Angeles Auto Show in 2016. We’ll be reporting details here on January, 15, from Detroit. To date, Acura presents a much refreshed 2018 MDX, MDX Sport Hybrid, and, TLX-A-Spec. All feature Acura’s outstanding pentagon diamond precision grill and SH-AWD options. In the case of MDX Sport Hybrid, NSX, and RLX — we discover hybrid electric torque vectoring SH-AWD. (smart handling all-wheel-drive.) Acura’s quest for Precision Performance began with the 2nd generation NSX super-car — an unparalleled performance value for the money. I look to Acura for great things in 2018 and beyond. I’ve met the design team, engineers, and top management, they’re passionate, dedicated, and have the resources at hand to dominate. Good things take time. In the meantime, I like driving Acura. It’s very cool in its own understated, precision directed elegance, and posh! I tame the streets of Los Angeles in RLX. Today in Honda-Torque News: What can I tell you, Honda Torque News is my day job. I look forward to reporting Honda news and updates. And, on slow news days, I have a bit of fun with it! With Honda’s annual sales report coming to press a day late this year, American Honda Motor Company announces, for the third year running, anew sales record for America’s # 5 auto maker. * as measured by sales volume. For December, we discover an astounding 60% uptick in Honda Pilot sales, for total sales of 127,279 sold in 2017. Honda points to increased production capacity with Alabama coming on line — Could be! Dealers can’t sell cars without inventory. However, with no shortage of competition in the mid and full size 3-row SUV segment, the comprehensive drive and ride package that is Honda Pilot consistently meets or surpass the needs of a mostly Soccer Mom, multi-tasking, 3+ Kids family market, and, offers something Honda Odyssey doesn’t – all-wheel-drive. I called the reinvented Honda Pilot a refined SUV bargain in 2015, it still is. When compared to Toyota Highlander, Mazda 9, and Chevy Tahoe, Pilot can’t be beat for value-packed standard featured packaging, V6 engine performance, and class-leading fuel efficiency. Me, I just like driving Pilot. Honda’s best selling vehicle for 2017 just happens to be a compact 2-row SUV, or a crossover, depending on how you look at it. At any rate, Honda CR-V, the best selling SUV of all time, just beat Honda Accord and Civic for the top sales spot in 2017. I first reported on the reinvented, up-sized Honda CR-V in 2015. At that time I was astounded by CR-V’s new found handling characteristics, quiet, comfortable cabin, and innovative, fuel efficiency 1.5 Liter turbocharged gasoline engine, and segmented CVT (continuously variable) transmission. comes an opportunity. Learn more about Honda’s premier plug-in-electric vehicle here. Thanks for reading. Your thought provoking comment is always welcomed here. Please comment and share bellow. Cheers!